Vinnie the Pooh! : Happy Holi ! P.S: Introducing... Baby Rover! He's wishing you all a very happy Holi. May your day be as colorful as Life itself. Happiness Always ! thanks sweets..wish u a colorful holi too!! 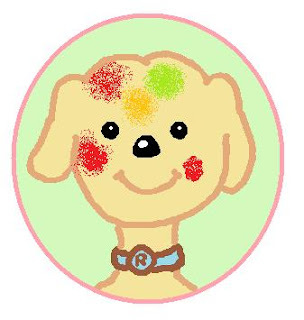 Sawan saar, Baby rover is baby pooh best friend:) happy holi buddy..i like ur 'Holi hain' header..its beautiful!! sen - you back? where ? this feels even better now..with u around! Happy Holi to you and your family Vinnie..